Yikes, I didn’t mean to have such a huge gap in blog posts, but for the past three months I haven’t really stopped moving. Traveling is hard, people. 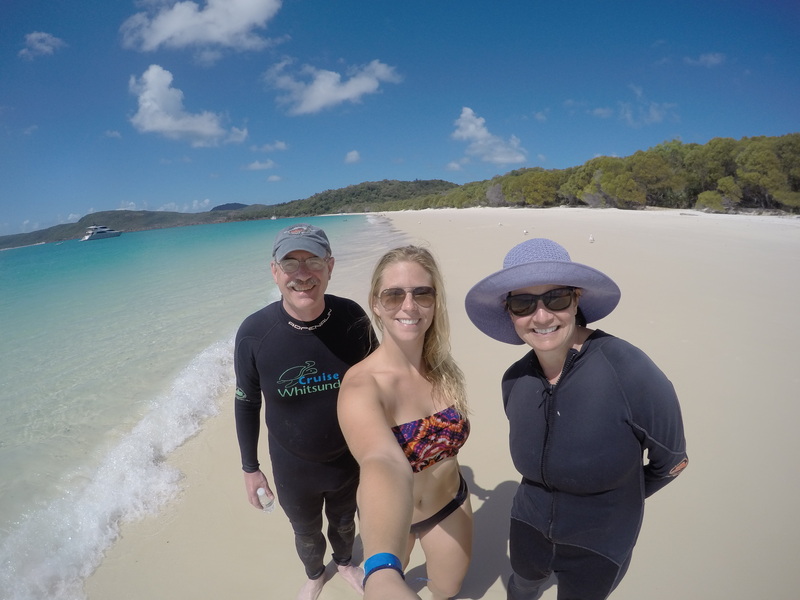 Since I last posted about Fraser Island, my parents came to visit, I traveled cross-country on the train, spent two weeks volunteering with wild dolphins and am now on a roadtrip up the west coast to Darwin. 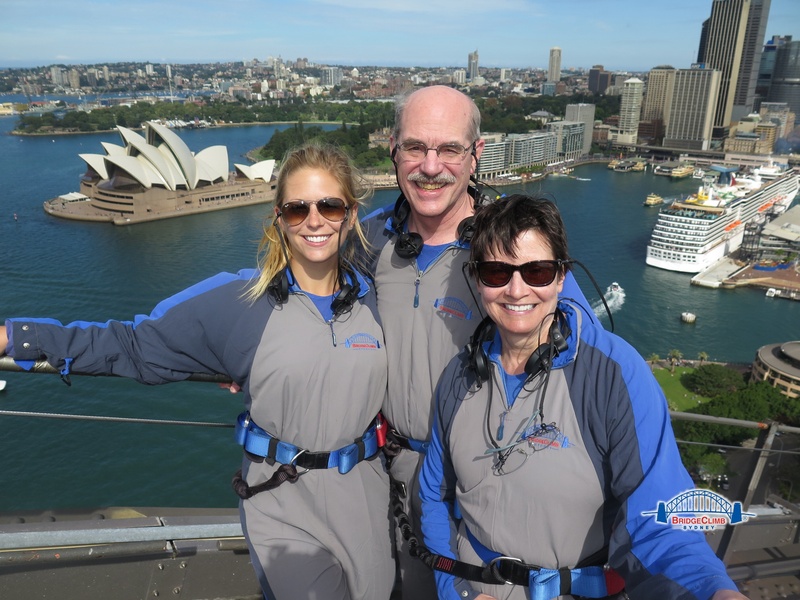 I had so much fun with my parents in April. I hadn’t seen them for seven months and it was really good to spend 3 weeks with them traveling around the east coast. 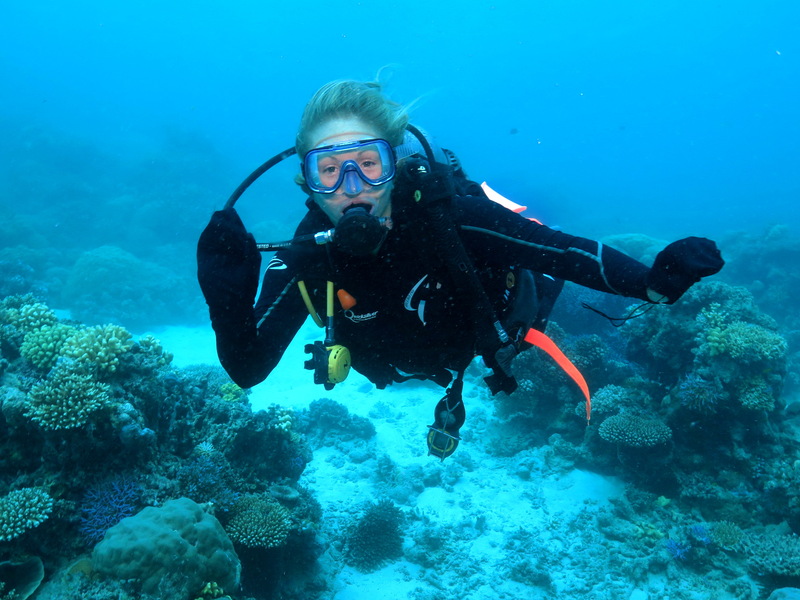 Highlights of the trip included climbing the Sydney Harbour Bridge, traveling on the Great Ocean Road outside of Melbourne, scuba diving the Great Barrier Reef in Cairns and spending five days in the Whitsundays. When they returned to the States, I headed down to Melbourne to take the train across to Perth. The first leg of the journey was (relatively) short: a 10 hour train from Melbourne to Adelaide. 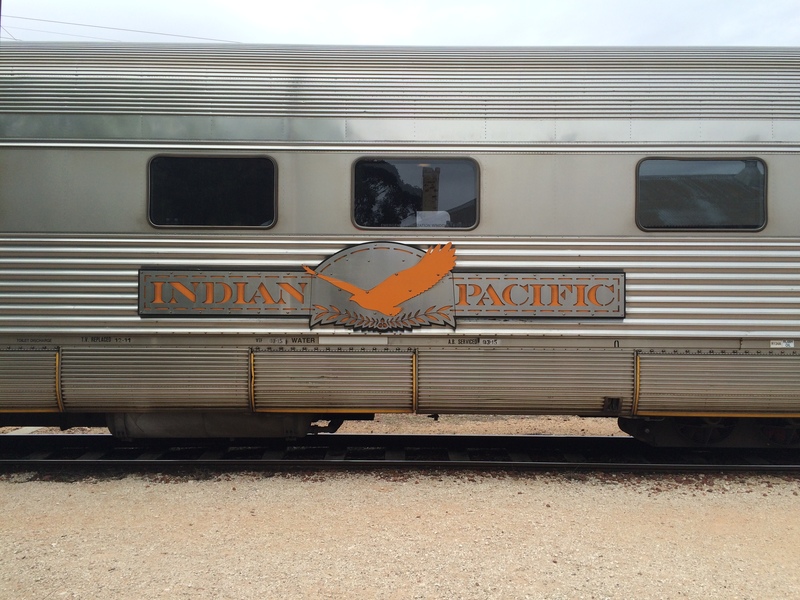 I spent two days in Adelaide then started a 2 day train journey to Perth. 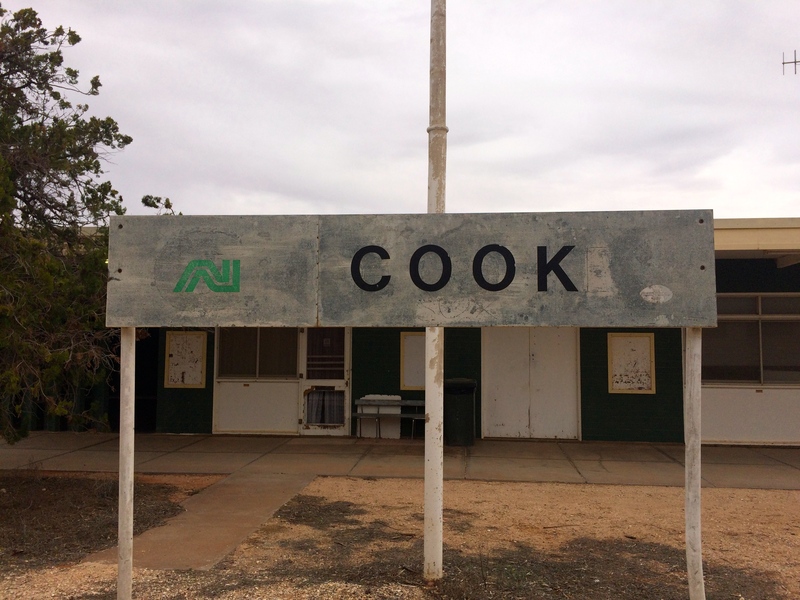 Unlike the U.S., Australia is pretty empty in the middle of the country. We traveled across the expansive Nullabor Plain, which was seemingly nothing but flat grassland. I had a reclining chair, so it wasn’t the most comfortable nights of sleep I’ve had, but it was definitely a cool experience to travel across the country. I arrived in Perth in early May and spent five days there where I stayed with a girl from California who I met in Cairns with my parents, met up with some friends I met in Spain a couple years ago and went to Rottnest Island. The island is just a ferry trip from Perth and my ticket included a bike and snorkel rental, so I spent the day cycling around the island. 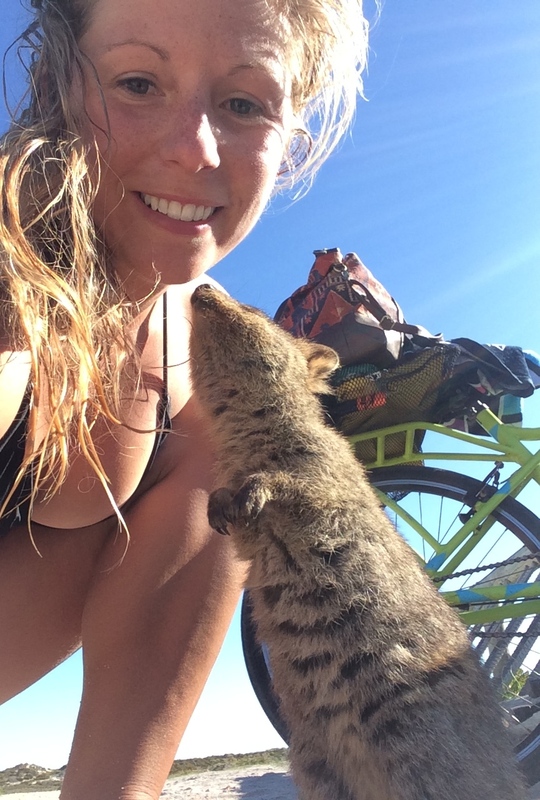 Little marsupials called quokkas inhabit Rottnest Island and it’s the only place they exist. They’re dubbed the happiest animal on earth since it looks like they are always smiling. From Perth, I traveled with a group of other backpackers north. We were five total – four French and one American (moi), so I was able to practice my French. Like when I went to Tasmania, I found them on Gumtree (Aussie Craigslist). You never know what it’s going to be like traveling with people you haven’t met before, but both times it’s worked out really well. 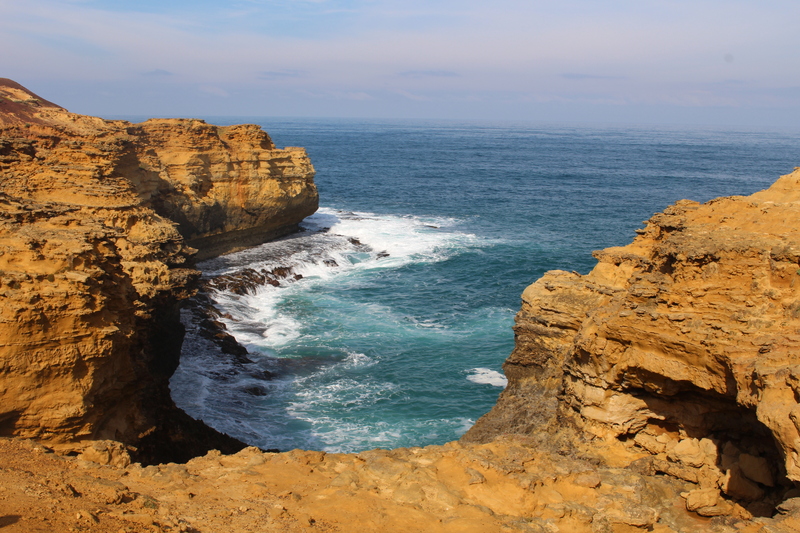 We spent six days taking our time to get to Shark Bay, part way up the west coast from Perth. 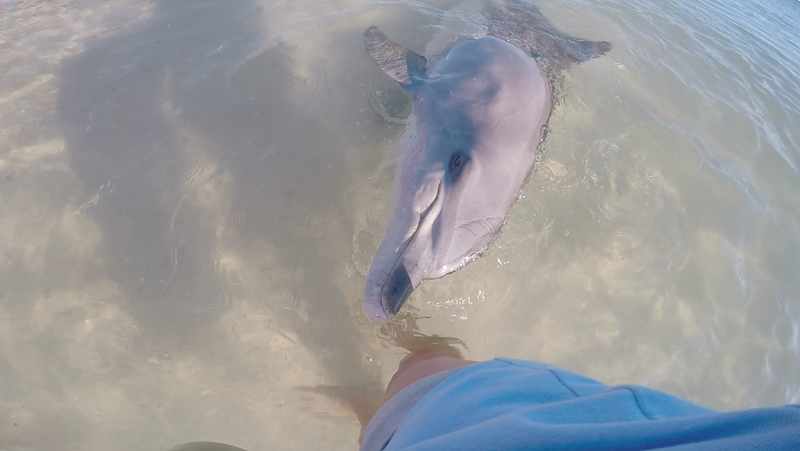 I spent two weeks in mid-May volunteering in Monkey Mia with wild dolphins. 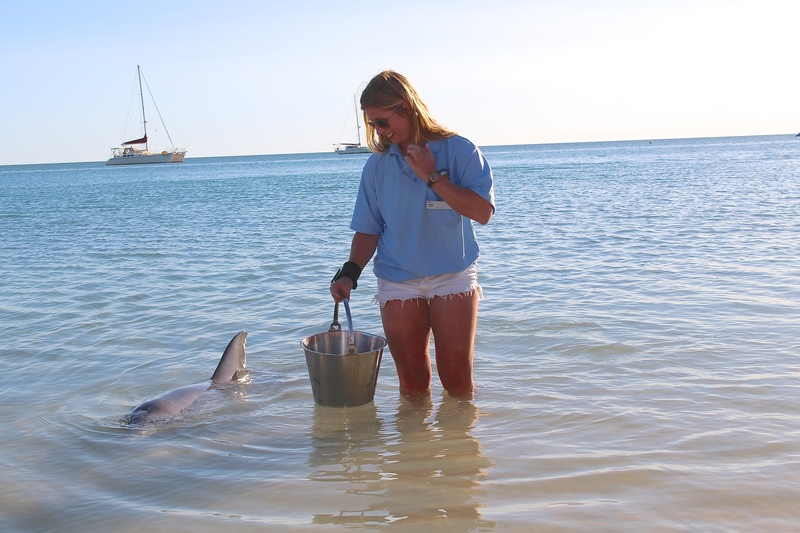 Shark Bay has a high number of bottlenose dolphins, some of which come regularly to the beach where we offer them fish. We only feed them 10% of their daily intake, encouraging them to still act like normal dolphins and do most of their fishing on their own. Volunteering was from 730-12 or 1 everyday and then I spent my afternoons woofing (working for accommodation) then usually hung out on the beach. I went 4 wheel driving twice, snorkeling, and on a couple boat cruises while I was there. I was sad to leave, but was excited for the next leg of my trip. My friend Guillaume who is also on working holiday from France met me in Monkey Mia with a campervan we rented together. 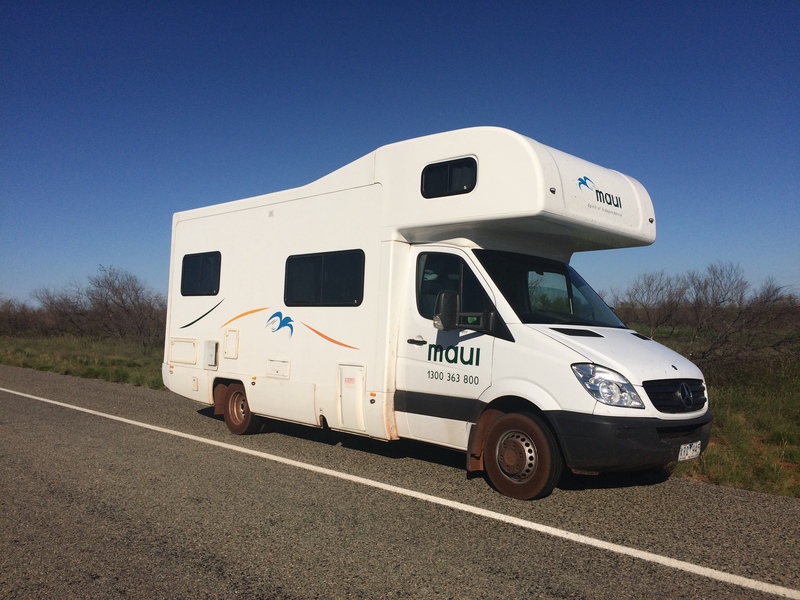 It’s one of those huge ones that you usually only see Grey Nomads (retired travelers) in, but here we are two 20 something backpackers driving one around Western Australia. 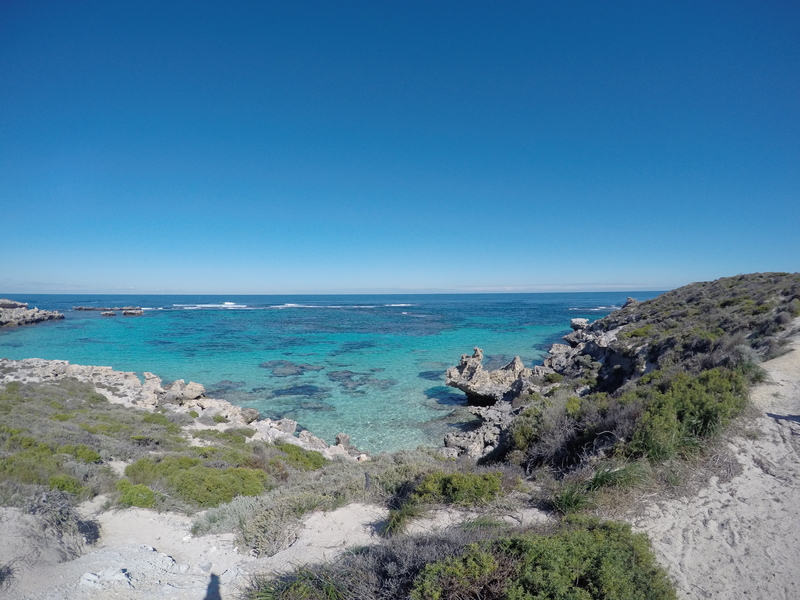 We stopped in Coral Bay, where you can snorkel on Ningaloo Reef right off the beach. 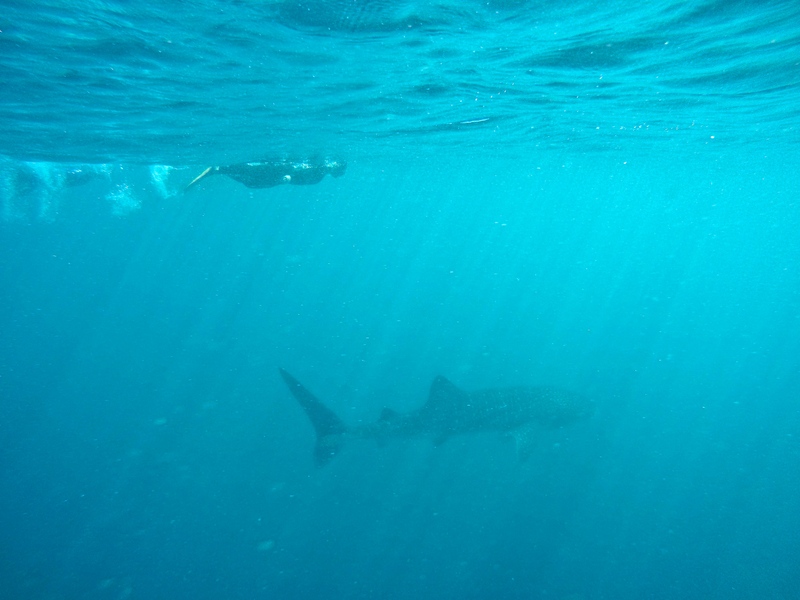 We went swimming with whale sharks in Exmouth, which was an unforgettable experience- they’re huge. 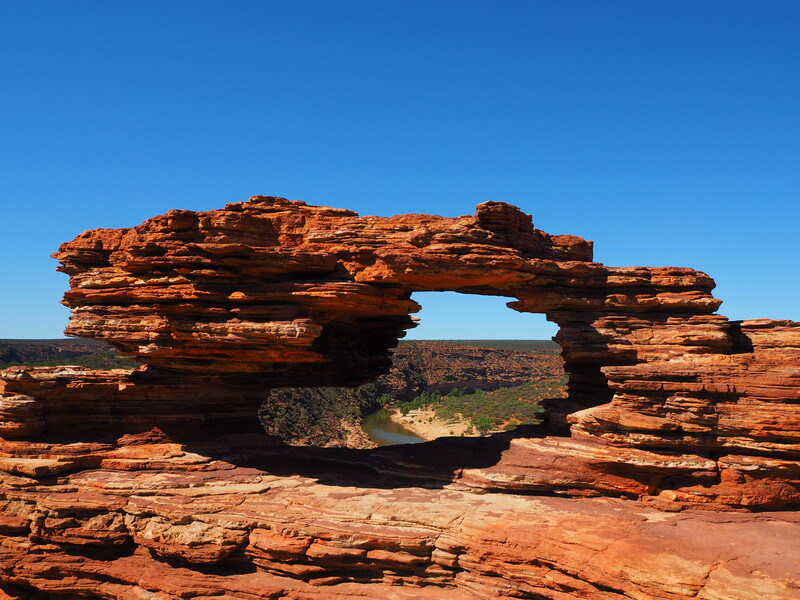 From there we went to Karijini National Park and explored its beautiful gorges. Next up was Broome where I celebrated my 26th birthday. We just happened to be there during the full moon where it’s possible to see what they call the Staircase to the Moon. From Broome, we crossed the Kimberley region and did a boat tour at Geikie Gorge and a tour at Mimbi Caves. We’re now in Kununurra, on the border of the Northern Territory where we’ll go to Kakadu before dropping the van off in Darwin. 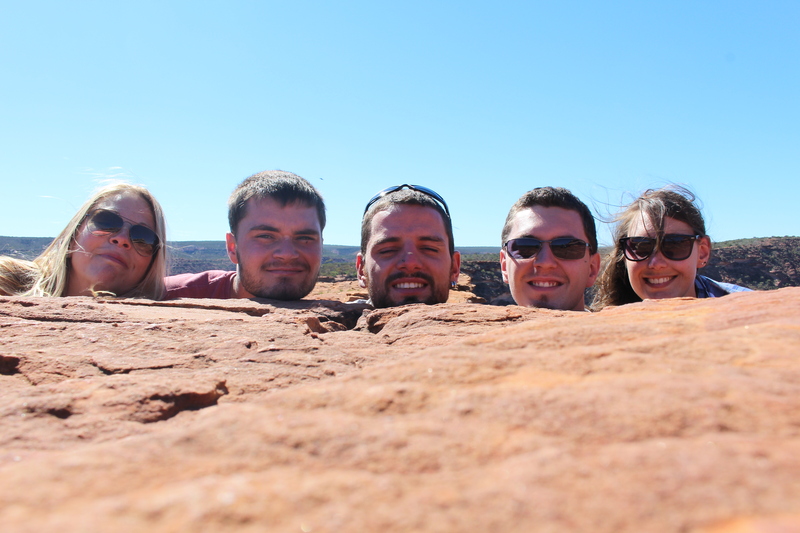 Next up, I’ll be heading down to Alice Springs to explore Uluru (the big red rock) and the surrounding area. Then I’ll have two months left on my visa before it expires in September. I’m not sure if I’ll go back east or west, but I’m looking for a job in both places, so we’ll see where I end up! I haven’t had much service for the past month or so, which is why I’ve been so neglectful, but I’ll post more when I next have internet. AWESOME, Sarah!!! THANKS so much for sharing!! Bon voyage et bonne continuation!